Peter Curtin is working on a new compilation of Irish jazz, fusion and folk music from the 1970s. Ormston House welcomes Peter to the Workspace Social to talk about this project due for release in early 2019 as part of the Allchival series on All City Records. He will also share his experience in researching ideas for radio programmes, the process involved in recording and editing them, and the importance of documenting stories and scenes. Admission is free and all are welcome. Don’t forget to bring your lunch! Peter is a DJ, record collector and radio documentary maker. He has been involved in radio for over ten years. 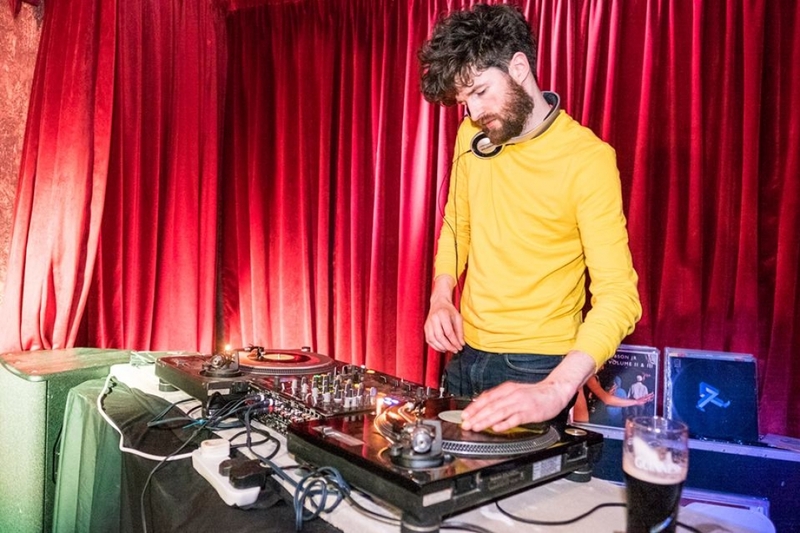 He currently presents a weekly music show on RTÉ 2XM, showcasing the finest new soulful sounds from the underground. The show also features interviews and Studio 8 sessions with Irish musicians. His radio documentary work focuses mainly on outliers from the Irish music scene of the 60s and 70s. He has made programmes for RTÉ Lyric FM about Limerick beat group Granny’s Intentions, multi-instrumentalist Jolyon Jackson, and jazz pianist Noel Kelahan. His most recent production was about Limerick hip-hop and arts festival Make A Move. The Workspace Social is a weekly event developed as an alternative format for artists’ talks and networking. Every Thursday, a local or visiting artist is invited to join us for lunch: to discuss a recent project, to share new research or to propose an activity. Participants are welcome to bring along their lunch and to eat with the artist. The Workspace Social is supported by Healthy Limerick, an initiative jointly funded by Limerick City and County Council and the HSE as part of the Social Development Directorate. The Workspace Social is programmed by Caimin Walsh for Autumn-Winter 2018.